There is nothing more terrifying than the thought of a spider crawling around on you as you sleep. Yuck! Unfortunately for many people, this is simply a reality that they have to deal with. Fortunately, there are some things you can do right now to keep spiders at bay and get the peaceful nights sleep you deserve. Continue reading to discover how to keep spiders away while sleeping, along with why this strange phenomenon occurs. Why Do Spiders Enter My Bedroom? How Can I Tell If There Are Spiders In My Bed? The first thing to realize is that if spiders are near your bed, the most likely explanation is that you have an infestation in your house. 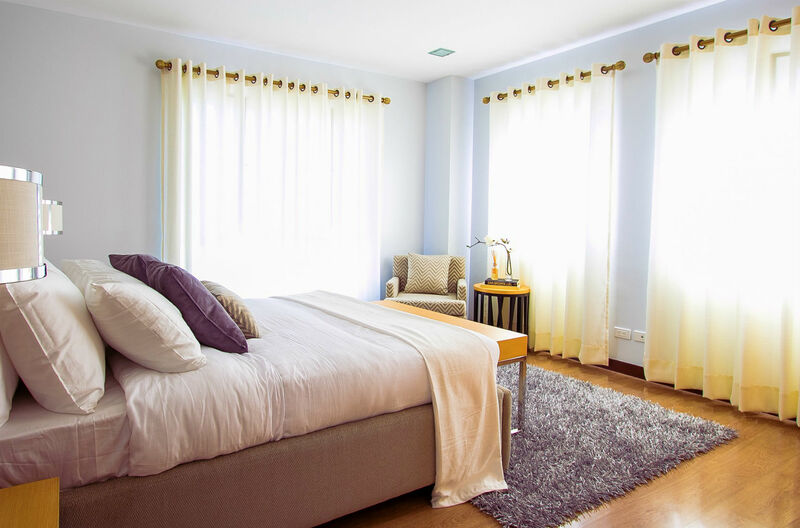 Starting with your bedroom, do an extensive deep clear of your house. You can not mess around with this – we are talking about a truly deep clean. Check underneath your bed, vacuum the floors, and clean every little nook and cranny in your home. If you see any spiders, spider webs, or eggs, place them in a sealed garbage bag, and put this in the trash outside – far away from your home! 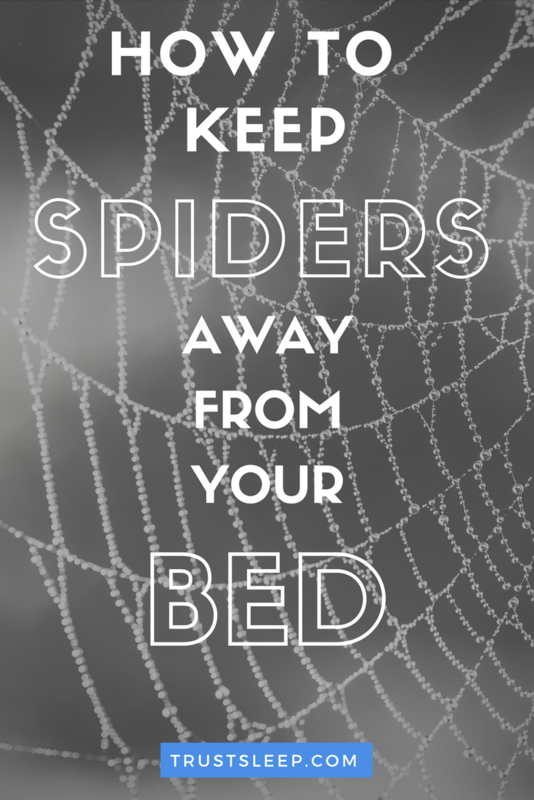 By deep cleaning your home you can help prevent spiders from coming into your bed at night. In addition to keeping spiders out of your home in the first place, it is important to distance yourself from those pesky little intruders as much as possible. The idea is to not give spiders anything to climb onto, thus preventing them from entering your bed. If your bed set has the option to attach legs, we recommend doing this. This should add an additional 6-7 inches from the ground. It is important to note that we do not recommend using any sort of bed leg covering, as this gives the spiders something to cling onto. If your bed set did not come with legs or a proper frame, we recommend using a bed frame with high legs. This is a phenomenal way to keep spiders away from you. Spiders love hiding in small nooks and crannies this because they tend to be nocturnal, meaning they are active at night and tend to rest during the day. 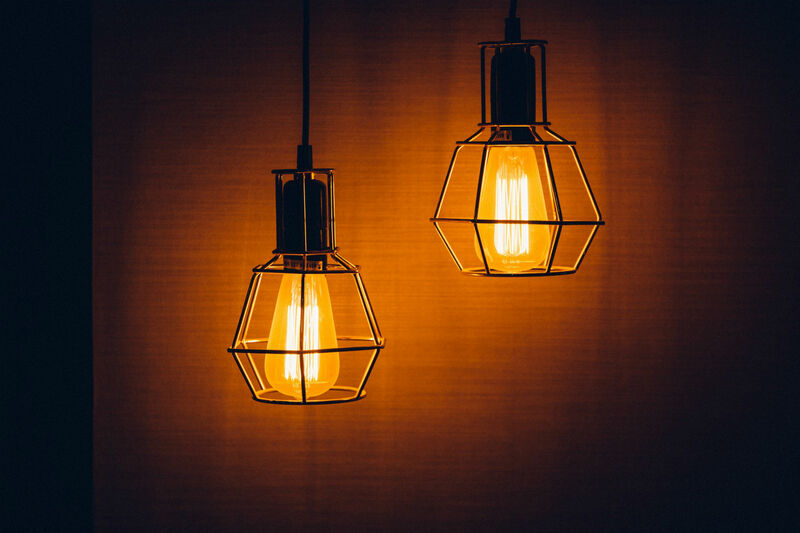 When the sun comes up, they quickly look for shelter from the sun, and this can mean finding their way into your clutter and the mess in your bedroom. Pickup things off the floor, throw away any old magazines or newspapers and make it so there is nowhere for a spider to hide. This will inevitably drive them out of your bedroom. As wonderful as it can be to have breakfast in bed, you are inadvertently welcoming spiders. This is because no matter how hard you try you are going to leave crumbs and other food residues in your bed, and this invites insects to feast in your bed, and thus spiders crawl their way into your bed to feast on them. We recommend never eating in your room at all if possible, although we recognize this might be difficult for some people based on their circumstances. 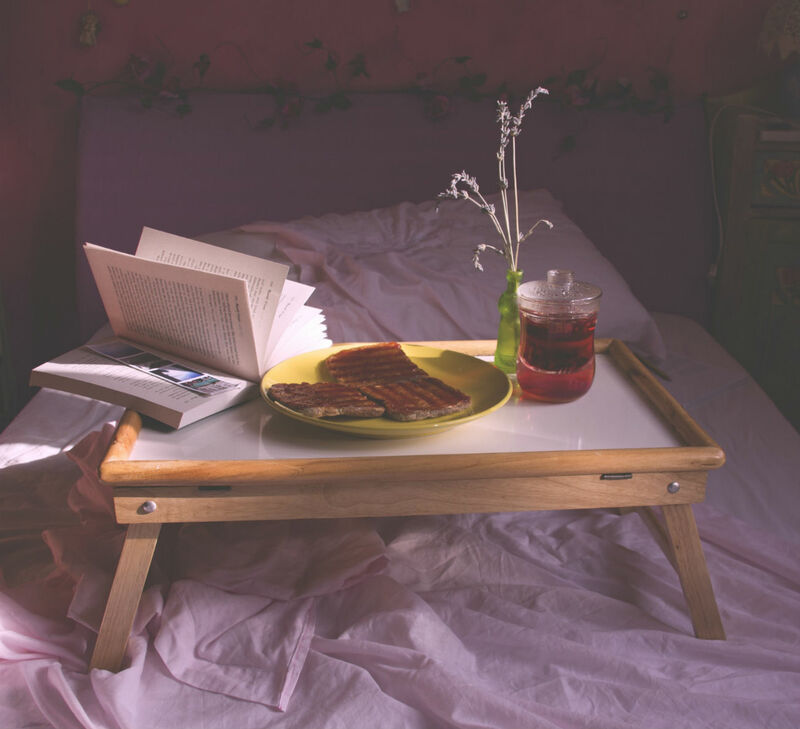 If you have to eat in your room, make sure you are as neat and tidy as possible, and always clean up after yourself to prevent insects from appearing in your bedroom. It is crucial to seal off any spaces in your home where insects or spiders could enter. 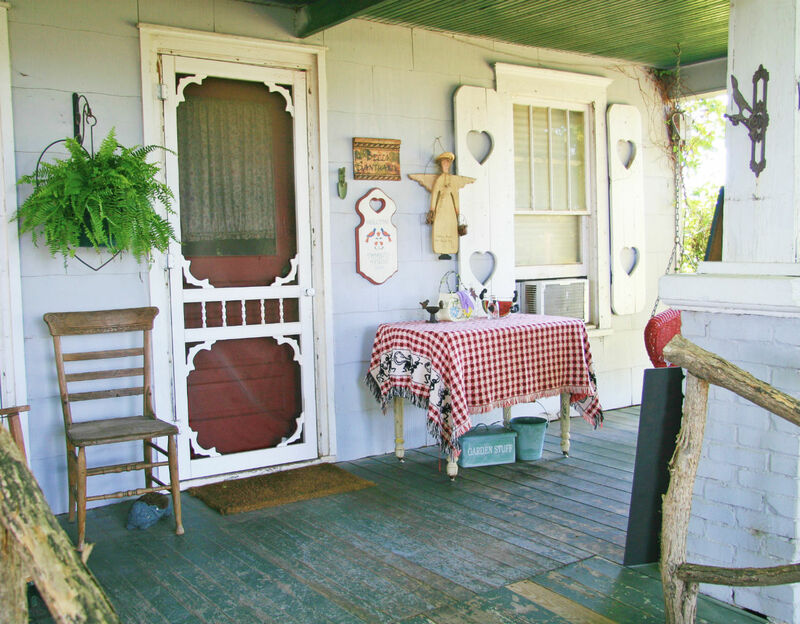 This includes screen doors with tears, cracked sealants, windows without screens, electrical wiring, etc. Take the time to do a thorough inspection of your home and if you spot any places where a spider could enter fix it immediately. In many instances, you seal these off yourself using caulk or tape. Make sure insects and spiders do not have easy access to your home! Although lights do not directly attract spiders, they do attract a variety of nocturnal insects. Spiders feed on these creatures, and in many cases, they inevitably end up in your house after entering through small openings in the exterior of your home. These openings can seem innocuous – torn screens, cracked sealants, an open window, but they lead to spiders entering your home while looking for prey. By turning off your lights after the sun goes down you can help prevent this from happening. 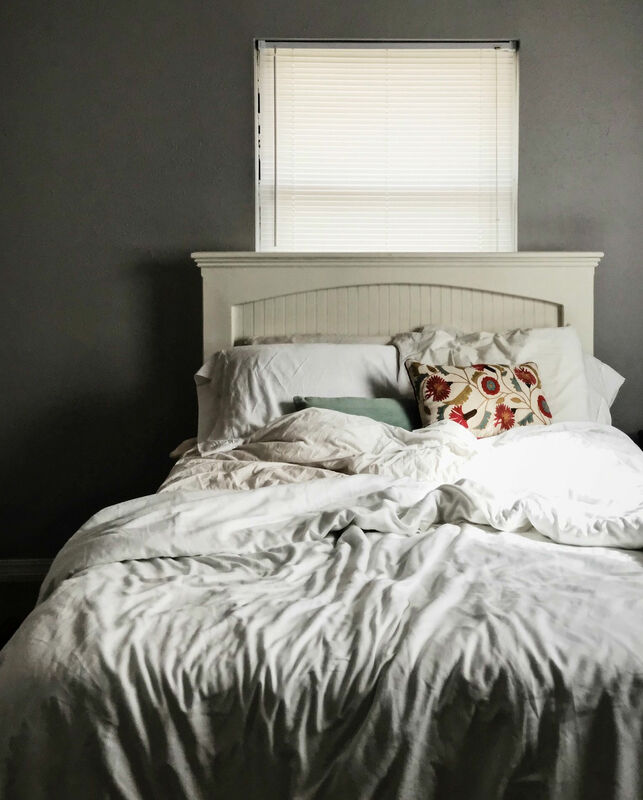 Stay Off The Wall – Pushing your bed off from the wall can help keep spiders out of your bed by preventing them from crawling up the corner of a wall and accidentally ending up in your bed. Use Essential Oils – Spiders and many other insects are repealed by essential oils. Try spraying a diluted mixture of water and lemon, lavender, orange, or peppermint oil around your bed to repel spiders. Keep Your Room Dry – Spiders provide a moist environment, which is why they are oftentimes found in bathrooms and in your sink. Although it may not be the most powerful environment, keeping a dehumidifier in your room can discourage spiders from entering your room. If you have done all of these things and still find that spiders are in your bedroom, it is time to call in the professionals. A proper exterminator will be able to eliminate the infestation and keep your bedroom free of spider infestations. Although this is the most costly option, it is your best bet if all else fails. The important thing to note here is that spiders are not trying to enter your bedroom on purpose. Oftentimes, they are just searching for prey such as small insects and flies, and find their way into your home by accident. Additionally, spiders tend to be nocturnal creatures. In many cases, they are simply trying to hide out from the sun and wind up inside of your home. However, once they are here, they can prove difficult to get rid of. The easiest way to tell if there are spiders in your bed, besides catching one of them, is waking up with bite marks or rashes. Generally, this is a solid indication that a spider or some type of insect is making its way into your bed at night. Also, we highly recommend checkings you bedding and sheets before you got to bed at night to make sure there aren’t any spiders hiding in any crevices. There you have it! Our exhaustive article about how to keep spiders away while sleeping. The important thing to remember here is that insects and spiders are everywhere and there is a massive amount of them. 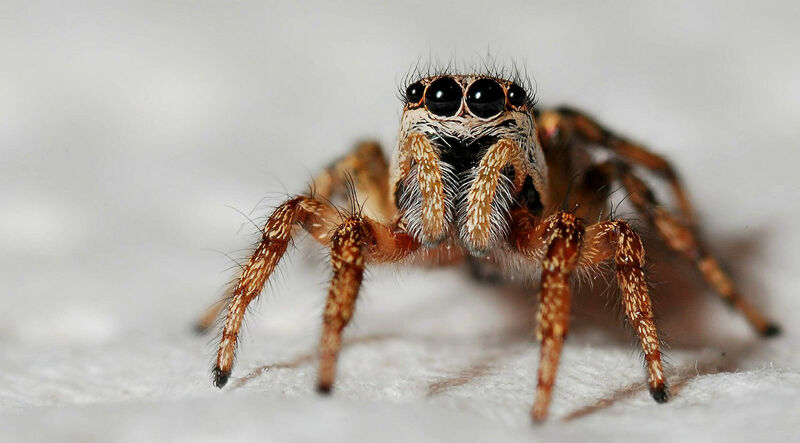 Because of this, we highly recommend doing a combination of the various techniques listed here in order to both keep spiders away from your bed and keep them out of your home in the first place. ← How Much Sleep Do I Need For My Age?